Members of The RCR may wear a regimental blazer as walking out dress or at any time when 'jacket and tie' is an appropriate order of dress. Auth: Amdt No. 14, RCR Standing Orders 1927, Appendix 2, Part I, Orders of Dress, New Paragraph - 9. WOs and Sgts as for officers except that the cap-badge will be worn, instead of the crest, cap-badge to be 2 1/2" in diameter, made gold and silver thread. a. Officers and Warrant Officers Class I - Regimental Crest. b. 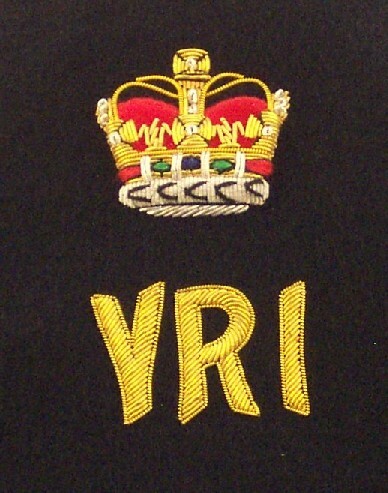 Warrant Officers Class II and Senior Non-Commissioned Officers - Regimental Cap Badge. c. Junior Non-Commissioned Officers and Men - Regimental Collar Badge. b. when wearing a Regimental blazer, it is customary to wear a white shirt, Regimental tie, medium grey flannel trousers, black socks and black shoes. d. Association members - Regimental blazer badge as entitled by their rank, or the Association badge, which is the Regimental cypher with the word "ASSOCIATION" beneath in gold thread. 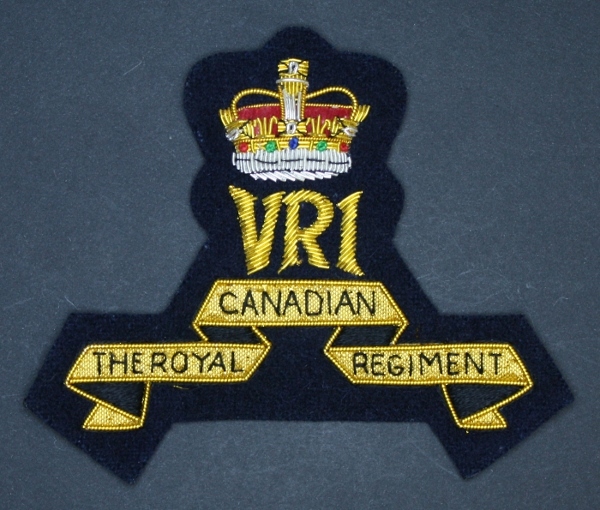 In May 2009, the Regimental Senate of The RCR decided to retire the current four versions of the regimental blazer crest. 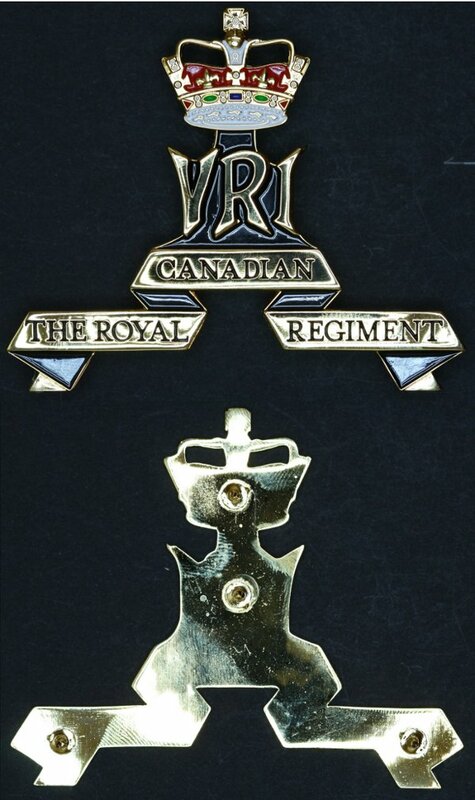 In their place, the Regiment would adopt a single blazer crest for all ranks, serving and retired. 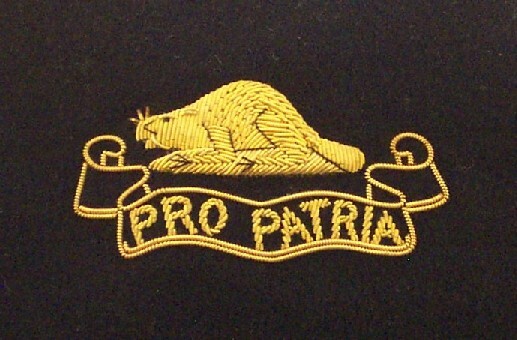 Any member of the Regiment wearing an old pattern blazer crest at the time of the change was permitted and encouraged to continue wearing their present crest until wear required a change. 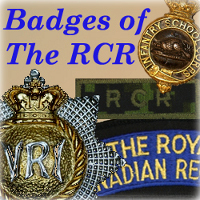 First proposed to the Regimental Executive Committee in 2008, the replacement of the four existing blazer badges with a common design to be worn by all ranks, serving and retired, was approved by the Regimental Senate of The RCR in 2010. 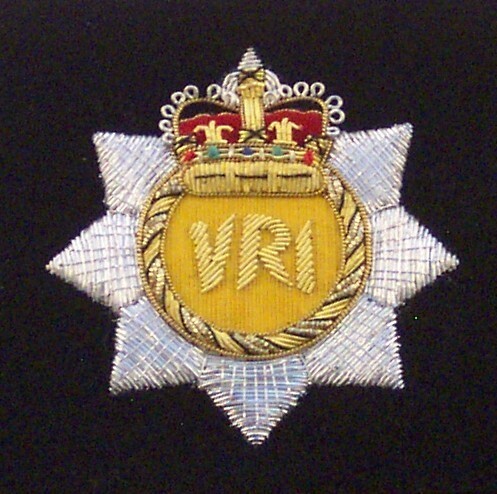 Those members of the Regiment wearing an older pattern of badge could continue to do so, replacing it only when their badge needed to be replaced through normal wear. 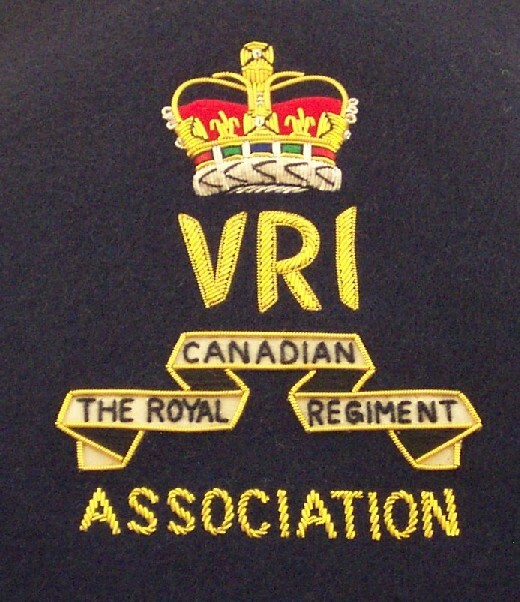 The new regimental blazer badge is in the pattern of the full regimental cypher (crown, "VRI", and banner). This has the distinct advantage over the rank-based badges in prior use in that the design includes the regimental name.